Cuvée Coffee’s story became the impetus for HB 908, which allows draft beer to be sold for off-premise consumption in both crowlers and growlers. Its author, state Rep. Ramon Romero, Jr., D-Fort Worth, wrote a letter to TABC Executive Director Sherry Cook early March this year admonishing the agency for its failure to return Cuvée’s machine months after a judge ordered them to do so. See here and here for the background. This was always a ridiculous difference-without-a-distinction action by the TABC, and it’s good that they have admitted defeat. I support HB908, though I’d like to know more about SB813 before taking a side on it. The bottom line is that our beer laws and how we enforce them continue to be silly, though hopefully now slightly less silly. There’s a lot more room for a lot less silliness, if we want there to be. All you want for Christmas is a crowler to go? It probably won’t happen that quickly, but an administrative judge’s recommendation could move the state a step closer to letting bars and restaurants sell takeaway beer in the sealed, 32-ounce aluminum cans that sparked a passionate debate last year when officials cracked down on retailers who used them. Until last fall, that is, when Texas alcohol regulators ordered bars simply to stop using crowler-filling machines or risk losing their sales licenses or facing thousands of dollars in fines. Seven retailers, including three in the Houston area, received written warnings. Selling beer for off-premise consumption in growlers, typically glass or stainless-steel bottles that are capped by hand, remained legal for retailers with the proper sales license. But the Texas Alcoholic Beverage Commission declared the crowler machines require a manufacturing license to operate. Only licensed brewpubs that make beer and can sell it to-go were allowed to continue using them. Hayden and others put the machines in storage, but Cuvee Coffee of Austin challenged regulators by continuing to sell crowlers. TABC agents seized its equipment in September 2015. The company eventually sued in state District Court, but it was ordered to go through the administrative hearings process first. Round 1 goes to Cuvee. In a decision dated last week, administrative judge John Beeler sided with the retailer on all counts and recommended that TABC return the equipment and change its rules. See here for the background. Basically, the administrative judge agreed that crowlers are not usable in a manufacturing process and thus should not be subject to this requirement. The TABC can accept this ruling and adjust accordingly, or it can file an exception in the hope of getting the judge to change some part of his ruling. The deadline for that is December 2. It may still be awhile after that before the crowler machines come out of storage, but barring anything unusual this is a great result for Texas and everyone who drinks beer. Austin 360 and the Current have more. The latest flashpoint between Texas beer lovers and state beer law is a 32-ounce aluminum can that bars and restaurants fill with beer and sell to be consumed off-site. The can, called a crowler, is praised for its convenience and ability to keep beer fresh for longer than traditional to-go packaging. The problem, state regulators say, is that the law prohibits retailers who do not have a manufacturing license from operating the filling machine. On Tuesday, the Texas Alcoholic Beverage Commission made its most forceful statement to date, sending in agents to seize one from a bar that failed to cease operations after being ordered to do so. The Cuvee Coffee Bar in Austin recounted the event on social media, giving it a Twitter hashtag of #crowlergate and setting the stage for another potential legal fight in the ongoing effort to change the alcohol code in Texas. The friction began in late spring, when regulators heard about the growing popularity of crowlers and began investigating, often undercover. Several bars and restaurants were told to stop crowler sales and seven, including three in the Houston area, received letters threatening fines and a suspension of their beer and wine licenses. They were given 30 days to remove the machine, which retails for $3,600. In announcing Tuesday’s seizure at Cuvee, the TABC acknowledged the likelihood of a legal challenge. “We know this issue is important to craft beer retailers and their customers, and we support all citizens’ right to petition the Commission, the Legislature or the courts if they feel a provision in the Alcoholic Beverage Code is unfair,” assistant chief for audit and investigations Dexter K. Jones said in a statement. Local bar owners say crowlers have several advantages over growlers, the glass or metal containers more commonly used for to-go sales. Sealed cans keep beer fresher by insulating it from oxygen and any sunlight, they say, and they are convenient because customers don’t have to plan ahead and bring a growler with them when they go out. This was the latest chapter in this story, but the first shots were fired back in July, and got heated up earlier this month. At its heart it’s a question of semantics – is a sealed one-use can fundamentally different than a reusable glass bottle? – but however you look at it, the bottom line is that our current laws make something that ought to be allowed illegal. This needs to change, partly because we’re not in 1933 any more, partly because the state allows wineries and distilleries freedom to operate that breweries and brewpubs don’t have, but mostly because it’s a bad deal for consumers. There’s already litigation over the state of Texas beer laws – it’s unclear whether this action will turn into a separate lawsuit or not – and I suppose there’s always hope for further change from the Lege. But one way or the other, this needs to change. Austin 360 and Eater Austin have more. In my ‘hood, no less. A new brewpub will open in the Heights with an accomplished veteran of the Texas craft-beer scene at the helm. Delicious Concepts Restaurant Group, which owns Lola, Shepherd Park Draught House, Witchcraft Tavern and seven Pinks Pizza locations, announced Monday it has closed its Tex-Mex spot El Cantina Superior near the White Oak dining and entertainment area and will reopen in the same building as a restaurant that makes and sells its own beer on site. The as-yet-unnamed “American kitchen”-style restaurant will have a pizzeria and butcher shop in-house. But the rotating lineup of lagers, India pale ales and Belgian-style and other beers – including guest beers and beers made in collaboration with other local breweries – will distinguish it from most Houston eateries. Brewmaster Erik Ogershok, an industry veteran who helped develop the award-winning portfolio of beers at the Hill Country-based Real Ale Brewing Co., joins Delicious Concepts as a partner for this and any future brewing projects. “This particular part of the project is just the beginning,” he said, declining to elaborate on other plans. El Cantina Superior, 602 Studewood, had a rocky history after it launched last summer. The restaurant struggled, and Delicious Concepts brought in the management team from F.E.E.D. Texas, including the well-regarded chef Lance Fegen, to retool the menu and supervise kitchen and service. The ambitious restaurant with colorful, quirky decor earned a positive review from Chronicle critic Alison Cook. But in May, the two restaurant groups suddenly parted ways. Ken Sheppard, Delicious Concepts’ marketing chief, on Monday acknowledged the problems. He said the restaurant likely opened too quickly and was probably too different and too much larger physically from the others in the group. He said he was proud of El Cantina Superior’s recent work but admitted it was tough to overcome the early travails. I can attest to the El Cantina’s rocky history. It generated a ton of scathing reviews on Nextdoor Heights when it first opened, then a bunch of “no, wait, it’s really good now” emails after F.E.E.D. took over, and then back to the bad after they left. Our personal experience with the place matches that pattern. It’s a shame as far as that goes, because when it was good it was really good, and there wasn’t anything quite like it nearby. Oh, well. This will be Houston’s first brewpub since 2010 when Two Rows in the Rice Village closed down. There are a lot of good options for both food and beer within walking distance of this location, so they’re going to have to do well on both counts to survive. Not clear when the new place will be up and running, but I look forward to it. Just because craft brewers succeeded in passing a bill allowing them to sell beer for consumption on their premises last session doesn’t mean there isn’t more that can be done to advance the cause of beer freedom. Twinned bills introduced this week would extend direct sales for breweries. The proposals by state Sen. Kevin Eltife, R-Tyler, and state Rep. Jim Keffer, R-Eastland, would let customers buy beer that they could take away and drink later. “This gives Texas breweries the same rights already enjoyed by wineries, distilleries and many of their out-of-state competitors,” Keffer said in a written statement distributed by the Texas Craft Brewers Guild. Under the bill, consumers would be restricted to a single purchase of no more than the equivalent of two cases of beer each month at a brewery. Advocates say this type of “souvenir” beer, often sold following tours or special events, can be an effective marketing tool. “This legislation is designed to finish what we started last session and bring people from around the country to this state which is rapidly becoming the epicenter of craft brewing quality,” Eltife said in the statement from the Brewers Guild. [Rick] Donley said the Beer Alliance [of Texas] is still digesting the details of this and other legislation affecting alcohol sales in Texas, but he sounded skeptical. The Beer Alliance and major wholesalers have contributed many hundreds of thousands of dollars to numerous political campaigns in Texas since the beginning of 2013. Major recipients include Gov. Greg Abbott and Lt. Gov. Dan Patrick, but the Beer Alliance of Texas PAC also gave a total of $5,000 to Eltife in June 2013, Texas Ethics Commission reports show. Donley said it has been only a year and a half since the most recent law changes went into effect, and his organization would like more time to see how that plays out in the marketplace. He also said he thinks the two-case-per-month limit is too high and he would want an annual cutoff on how much breweries could sell this way. The exemptions approved in 2013 limited breweries to selling no more than 5,000 barrels of beer on site. While the bill currently does not specify an annual limit, a spokesman in Eltife’s office said the 5,000-barrel limit would still apply to all beer sold on site, whether it was sold for on- or off-premise consumption. Donley said the ongoing success of Texas craft brewing further suggests the industry does not need additional help. Brock Wagner, owner and founder of Houston’s Saint Arnold Brewing Co., insisted the craft brewers are not seeking to replace traditional retailers. Rather, he said, this legislation would address the most common question from tour and special events visitors – why they are not allowed to buy beer to take home – and boost awareness of the brands. Wagner also said lawmakers are probably more inclined to view craft brewers as important small businesses that deserve the state’s support. See here and here for some background. As noted by the Texas Craft Brewers Guild, the bills in question are Senate Bill 1386 and House Bill 3086. I understand the Beer Alliance’s hesitation – and it should be noted that they were among the good guys in 2013 – but it’s still crazy when you think about it that brewers can’t sell a six pack or two to the people that come to visit their facilities. It would be one thing if there were a blanket prohibition on all forms of booze, but that’s not the case – Texas’ wineries and distilleries can sell bottles on site. So can microbreweries in other states. What Texas does makes no sense, and it’s all about what the big brewers and distributors want. The difference between the faith in free markets that people constantly proclaim in this state and the actual freedom of some specific markets never fails to boggle my mind. Anyway. As those links above point out, there were other issues that the 2013 legislation did not address that remain untouched by these bills. Licensing fees remain high, and microbrewers were forced by another bill from 2013 to give away their territorial distribution rights instead of being allowed to sell them. Again – crazy, right? A lawsuit was filed last December to overturn that law. I don’t know where that stands now, but there’s apparently no legislative fix for it. So, while this has been a lot more low-key this session, there’s still a lot to be done to make the beer market in Texas what it should be. Microbreweries took a big step forward in 2013, but there’s still more to be done. The 2013 legislative session, which featured the largest overhaul of the beer industry since 1993, was viewed by many observers as a watershed moment for craft brewers in Texas. But in testimony before the House Economic and Small Business Development Committee on Thursday, Scott Metzger, who sits on the board of the Texas Craft Brewers Guild, said the state can still do more for the industry. At a hearing on how to make Texas more attractive to venture capital investment, Metzger predicted that over next 10 years, the brewing industry could be the most dynamic growth sector of the Texas economy. That potential is limited, he said, because of remaining restrictions on brewers that make it difficult to attract investors. “The restrictions the state of Texas places on our businesses dictate that it often makes better economic sense to deploy capital in a different state,” Metzger, a former economics professor, told lawmakers. While the new laws represent major progress for Texas beer, there are some realities that we are not pleased with. There still exist exorbitant licensing fees in Texas that keep beer from small, artisan brewers out of our state. We still will not be seeing beer from Cantillon or Fantome on Texas store shelves anytime soon. We feel strongly that in order for Texas to become a truly world-class beer state, it must eliminate the massive licensing fees that keep out beer from small, artisan producers. We have written extensively on this topic before, which you can read here. We are also not pleased with the passage of SB 639, which makes it expressly illegal for breweries to sell the right to distribute their products to wholesalers, while making it expressly legal for wholesalers to sell those same rights to one another. This law is tantamount to legalized theft, and we will join future efforts to see it overturned. For our complete commentary on SB 639, please follow this link. See here and here for the background. The situation is unquestionably better, but it’s also unquestionably not what one would call a free market. I personally don’t see the value in the existing three-tier system, but as long as the political will to dismantle it doesn’t exist, we should push to loosen it as much as possible. I presume the craft brewers will have a wish list of specific legislation they’d like to pass by the time the session starts. It won’t be any easier this time around, because the big breweries will do everything they can to protect their legally mandated piece of the pie. I won’t be terribly surprised if they have one of their toadies introduce a bill to scale back in some way the gains the craft brewers won. We’ll need to keep an eye out for that. Texas microbreweries are now officially selling their wares on premise. Woo hoo! In business for nearly 19 years, Saint Arnold Brewing Co. sold its first cold one directly to a customer [in June], thanks to a new law liberalizing the way beer is bought and sold in Texas. The buyer, 22-year-old Dale Edwards, made his $8 purchase to the click and whir of cameras and a round of cheers from the afternoon tour group, then sipped a heavy stout that marked a turning point for Saint Arnold and the state’s fast-growing craft-brewing industry. Customers must drink the beer there, however, as some of the competing interests successfully resisted efforts to allow people to take home packaged beer. Just hours after the ink dried on Perry’s signature, Houston’s Buffalo Bayou Brewing sold its first beers during its Saturday tour. Owner Rassul Zarinfar said he sold $18 worth of beer in addition to the samples that are included in the admission price. Saint Arnold also plans to continue including samples in its tour prices but in addition will offer select special-release beers for sale. 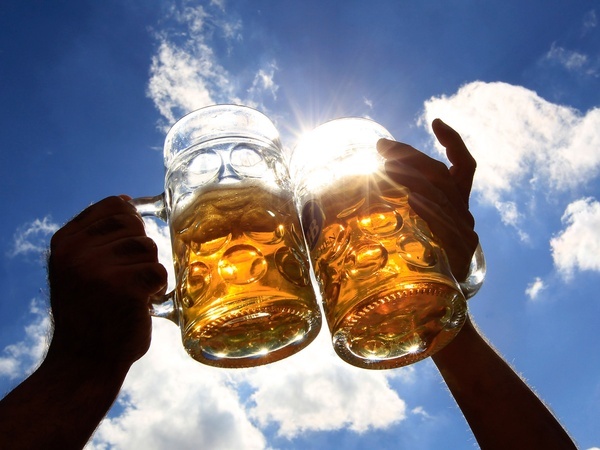 CultureMap rounds up what the other craft brewers in town plan to do with their new freedom. It’s been such a long time coming that it’s almost hard to believe. Saint Arnold is at the forefront here, and I really look forward to how they and their colleagues innovate now that they have this capability. But while we celebrate this achievement and all the good it will bring, it’s important to remember that there’s a lot more that could have, and still should, be done. The Jester King brewery lays it out. Again, we are thrilled for Texas law to have changed. We were skeptical whether it would ever happen after repeated defeats in the legislature. First and foremost, we want to thank beer drinkers across the state who voiced support for the bills and gave their time and/or money to our cause. We would also like to thank Open the Taps, The Texas Craft Brewers Guild, Brock Wagner of Saint Arnold Brewing Co., Scott Meztger of Freetail Brewing Co., The Beer Alliance of Texas, and journalists who helped shed light on the injustices inherent in Texas beer law. There is still much work to be done in making Texas a better place for beer and beer drinkers, but these changes represent a dramatic, positive step forward. Imagine a local event, right here in Austin, where you could sample hand-crafted beers from both the world’s most highly regarded artisan brewers, and talented newcomers whose names you probably never even heard before. OK, now stop imagining and instead start planning your trip to wherever next year’s festival is going to be held, because without some serious changes to Texas law, there is absolutely no chance that it will ever come here. In order for an event like this to take place in Texas, every individual, participating brewer, including foreign brewers, would need to pay up to $6,128 in licensing fees, fill out extensive paperwork (available only in English) and submit each of their beers that they planned to pour for label approval, along with either samples or a certified laboratory analysis, even if they had no intention of doing any future business in the State. Of the 70+ artisan producers in attendance, you could easily count on one hand the number whose products are currently available in Texas, and unless the law changes, we aren’t likely to see that number increase all that significantly anytime soon. There’s been a good deal of focus placed on the need to change the laws prohibiting Texas production brewers from selling their products to the general public on site and preventing Texas brewpubs from distributing theirs off site, and we absolutely, wholeheartedly support the collective efforts that are being made to eliminate these restrictions. At the same time, however, we also feel that in order for Texas to develop a truly world-class artisan beer scene, in addition to supporting its local brewers and easing the path to market for small in-state start-ups, it also needs to remove the economic and regulatory barriers that seem virtually designed to deny its citizens access to world-class artisan products that happen to be made outside its borders. They have a chart of per-unit costs for breweries of various size to illustrate their point. It’s clear that everyone who was involved in getting the good bills passed recognizes the need for more work, and I expect they’ll be back in 2015 to push for more. That fight will be more difficult – as far as the public is concerned, the problem has been solved, and as SB639 represented a last stand by the Wholesale Beer Distributors of Texas you can be sure they’ll lobby like crazy to protect it – but it needs to be fought. Again, this is about making the beer market in Texas more closely resemble an actual free market. You’d think the way so many politicians in this state croon about the virtues of the free market that this would be a no-brainer, but then we’re really much more about being pro-business than pro-market. The two are very much not the same, as the long slog to get any freedom for craft brewers attests. The fight picks up where it left off in another 18 months. Whatever you think of the vetoes or the special session action, this is unequivocally good news. Happy hour started Friday afternoon for Texas brewers. Gov. Rick Perry signed five bills representing the most comprehensive overhaul in two decades of how beer is packaged and sold across the state. Thus, effective immediately, shipping breweries such as Houston’s Saint Arnold can sell a set amount of beer directly to customers, although they must consume it on-site. And brewpubs like San Antonio’s Freetail can package and sell some of their products for distribution in other retail outlets. The latter change gives Texas restaurants that make their own beer the same ability to sell off-site as many out-of-state brewpubs. “This is a great moment for craft brewers in Texas,” Saint Arnold founder Brock Wagner said. “It’s the first real reform we’ve seen in beer law, for craft brewers, since the brewpub bill.” He referred to the 1993 legislation that authorized licensed restaurants to make and sell beer for sale on-site. In Houston, the law allowing on-site consumption at shipping breweries would have the biggest immediate potential impact. Saint Arnold, for example, plans to begin offering “special and limited edition brews” for sale during its weekday and Saturday tours. The basic tour at Saint Arnold’s won’t change – they’re not going to fool around with something that’s been such a success for them. Saint Arnold may start adding other events at which beer will be sold. I suspect there will be a lot of experimenting, and that’s just fine. The brewers and the brewpubs have been given a lot of new latitude, and it will take them awhile to figure out how best to take advantage of it for themselves. Saint Arnold is the biggest player in the microbrewery space around here, but there are plenty of others now. One of them is Karbach, which hasn’t decided yet what it will do now that it can sell beer on premise. Karbach has been growing like gangbusters lately, so the new freedom they’ve been given comes at a great time for them. Karbach Brewing Co., one of the nation’s fastest-growing craft breweries, has signed a distribution deal that will significantly expand its availability in stores, bars and restaurants from Beaumont to Galveston to Victoria. In a separate deal, the Houston brewery also will begin selling beer in San Antonio next month, co-founder Ken Goodman said Wednesday. To meet the anticipated demand, Karbach is completing a major expansion of its northwest Houston plant that will give it capacity to produce and sell up to 40,000 barrels annually, up from 15,000 barrels. Karbach, which began sales in August 2011, produced more than 8,000 barrels in 2012, well ahead of internal forecasts. Goodman said he expects to sell 18,000 to 20,000 barrels this year. That will include new sales in 17 counties across Southeast Texas through a distribution arrangement announced Wednesday with Del Papa Distributing Co.
Karbach had been delivering some beers on its own in a limited area, but the Del Papa deal will put year-round and special-release beers in a wider variety of stores and bars. According to some research done by The New Yorker, based on newly released 2012 data gathered by the Brewers Association, Karbach was the second-fastest growing brewery in the country from 2011 to 2012, with sales increasing by a phenomenal 1112% over that year. You have to start at a pretty low level to grow tenfold, but still, that’s impressive. Overall, craft brewery production increased by 14% in the state, though the total volume of over 770,000 barrels is still peanuts compared to what an Anheuser Busch produces in a year. One reason why there’s been such growth is because there’s plenty of room for it. Texas is only 41st in the country in craft breweries per capita. A whole lot more of these places could open before the market even approaches saturation. The brewers guild released new figures Friday showing that craft beer production in Texas was up 42 percent last year compared with 2011. It estimated the industry’s economic impact in the state was $737 million in 2012. “Texas craft beer now accounts for an estimated 0.98 percent of all beer consumed in Texas, but it employs 59.7 percent of the people who work in breweries in the state,” it said. 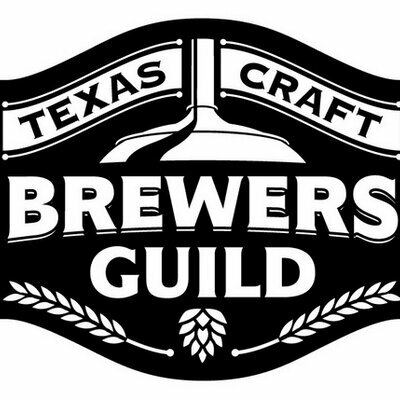 The new figures don’t appear on the Texas Craft Brewers Guild website just yet, though you can still see last year’s study, which put the impact at $608 million. You can be sure that number will be even bigger next year. A raft of bills that would dramatically alter the way beer is sold and consumed in Texas sailed through tentative approval from the House on Friday after a lengthy and disputatious process between brewers and beer distributors. If finally approved next week, the legislation will go straight to the governor’s desk without another stop. The bills represent the largest overhaul of the industry in Texas since the Legislature legalized brewpubs in 1993. Under the new regulatory scheme, brewpubs and craft brewers would be allowed more flexibility to sell their products — privileges beermakers have sought for more than a decade. The package includes Senate Bills 515, 516, 517, and 518, by state Sen. Kevin Eltife, R-Tyler, which decrease restrictions on craft brewers and brewpubs. Under the new rules, the cap on brewpub production would be doubled, from 5,000 barrels a year to 10,000. Brewpubs would also be allowed to sell their beer to distributors, in addition to selling limited amounts of their own beer directly to retailers. The bills adjust breweries’ right to circumvent beer distributors and sell beer directly to retailers. Larger breweries than before would now be allowed to self distribute, but the limit on how much they are allowed to self distribute has been lowered. Also, breweries would now be able to sell beer for on-site consumption — a major victory for Frank Mancuso, the Central Texas sales representative for the Saint Arnold Brewing Company of Houston, the oldest craft brewer in the state. Mancuso came to the House Gallery with a large number of other Texas brewers, who broke into applause when the last of the bills finally passed. We do love beer. Thanks to these bills, it’s easier to love. After waiting in a long queue of bills that were sent from the Senate to the House, the Craft Beer Bills (SBs 515-518 and 639) should see some movement again this week. Our team in Austin has been in regular communication with the House sponsor (Chairman Wayne Smith) and his committee – the House Licensing and Administrative Procedures Committee – and they are confident that the bills will be voted out unanimously this week. Because the companion bills in the House already had a public hearing, these bills only need to be brought up during a meeting of the committee to get a vote. The next step in the process will be for the Calendar Committee to schedule the bills for consideration by the full House, and we anticipate that happening sometime next week or the following week. More to follow as the week progresses, but stay tuned. The bills in question passed the Senate on March 25. True to Rep. Smith’s word, the bills were unanimously passed out of the House Licensing and Administrative Procedures Committee yesterday afternoon, so the next step is Calendars and a vote on the House floor. We are truly in the home stretch here. I suppose there’s still the chance of something going wrong, but at this point I’m beginning to feel it. After four legislative sessions, this looks like it’s finally going to happen. The Texas Senate voted Monday to give craft brewers and brewpubs new opportunities to sell their beer. “To see that happen was amazing,” said Scott Metzger, a San Antonio brewpub owner who worked with other brewers, legislators and wholesalers in negotiating a compromise. Brock Wagner, owner of Houston’s Saint Arnold Brewing, called it a critical step toward passage of the state’s most significant beer-related legislation in 20 years. “We still have a path to follow,” he said. Metzger watched via his office computer at Freetail Brewing as the Senate voted 31-0 to approve two bills promoted by the Texas Craft Brewers Guild. An economic impact study Metzger prepared for the guild predicts the measures will spark even stronger growth for the state’s burgeoning craft beer industry. Rick Donley, president of the Beer Alliance of Texas distributors group, which supported SB 515 and 518 from the beginning, called it “a good day for the craft-brewing industry,” including manufacturers and wholesalers. As Metzger noted, SBs 516 and 517 were not taken up because the Senate can only vote on so many bills on a single day at this point in the session. They were subsequently passed unanimously on Wednesday. SB639, the Carona bill, was also approved after some modifications were made that settled most of the objections to it. All bills now await hearings in the House, and signs look good for passage. Put some beer in the fridge in anticipation of it finally happening. Legislation authorizing the most significant changes in 20 years to the way beer is bought and sold in Texas passed a key Senate committee Tuesday with broad support. Under terms of the bills, Houston’s Saint Arnold and other Texas craft breweries could sell a limited amount of beer on site and brewpubs like San Antonio’s Freetail Brewing could package some of their product for sale in stores, bars and restaurants. The breweries, meanwhile, would be prohibited from accepting cash payments for the rights to distribute their beer in specific geographic regions, but they would be allowed to continue to share marketing and some other costs with their distributors. Final terms of the bills – four of which were developed after yearlong negotiations between brewers, lawmakers and distributor and consumer groups – were hammered out under a tight deadline set last week by the chairman of the Senate Committee on Business & Commerce, who introduced a competing bill and ordered the two sides to reach a compromise. The committee approved all five amended bills unanimously Tuesday and sent them to the local calendar committee for expedited scheduling before the full Senate. Metzger said a signed agreement among stakeholders with an interest in the bills should expedite companion bills in the House. This is by no means a perfect package of regulatory changes, but again it is a good step. Things happen incrementally in legislative bodies, and we will be back next session if necessary to continue the fight to OPEN THE TAPS in Texas. We still have a few points on our wish list to accomplish, and we are looking for ways to implement those points, but this may be the most we can get at this time and we will consider it more progress than has been made since 1993 when brew pubs were first allowed in Texas, post-prohibition. See also Scott Metzger’s analysis of the bills and the process that led to the package that emerged from committee. This is tangible progress and a big deal in its own right, but hardly the end of the line. Now let’s get this across the finish line, and we can see where to go next from there. Good job, y’all. The Senate Business and Commerce Committee on Tuesday acted as legislative referee over bills that would allow craft breweries to sell on their premises and self-distribute in Texas, but critics said the legislation would hurt the state’s system of alcohol production and distribution. State Sen. Kevin Eltife, R-Tyler, filed a package of bills in February that would make significant reforms to the Texas Alcoholic Beverage code and the state’s three-tiered system that regulates the production, distribution and retail sales of beer separately, dating to the end of Prohibition. Eltife said the legislation also puts Texas brewers “on a level playing field with other states” in their treatment under the law. The change is strongly supported by the Texas Beer Alliance, which lobbies for major-brand beer distributors and some craft brews. Donley said the legislation supports the growth of craft breweries and addresses lawsuits surrounding the Commerce Clause. The Texas Beer Alliance did not always champion these changes, but craft breweries have recently become the industry’s gold mine. “It is the only segment in the industry to show growth in the last four years,” Donley said. But Eltife’s bills are being challenged by Senate Bill 639, filed by state Sen. John Carona, R-Dallas, and supported by the Wholesale Beer Distributors, which presents a host of complex changes to the code, centered on severability, reach-back pricing and distribution — problems that Carona’s staff argues go unaddressed in Eltife’s bills. With all due respect, the reason why this has been so difficult and so time-consuming is because there are entrenched interests at work. Big breweries and the big distributors have fought for the status quo because it’s a great deal for them, and they don’t want the competition. Thanks in part to a scaling back of their ask, a persistent grassroots campaign, and a welcome alignment with the Texas Beer Alliance, Sen. Eltife’s bills have a chance. Sen. Carona’s alternate bill is opposed by the craft brewers, the TBA, and as this AP story notes, the Texas Association of Business, the Texas Association of Manufacturers and Anheuser-Busch InBev as well. The Chron has more on what a pasting Sen. Carona’s bill took. “That is very simply a government-sponsored price-fixing cartel,” Mario Loyola of the Texas Public Policy Foundation said in testimony before the Senate Business and Commerce Committee in Austin. “From the consumers’ point of view, that’s the worst of all possible worlds, restricted output and higher prices at every level,” said Loyola, who has written for conservative publications and served as a state policy adviser to former Republican U.S. Sen. Kay Bailey Hutchison. In a crowded hearing room lined with craft brewers and other industry representatives, the lone supporter testifying for the measure, Senate Bill 639, was Randy Yarbrough of the Wholesale Beer Distributors of Texas. State Sen. Leticia Van de Putte, D-San Antonio, politely grilled Yarbrough after noting that the wholesalers group had not raised these issues during a yearlong series of meetings that brought industry and legislative leaders together to hammer out legislation. Ouch. The thing is, the Wholesale Beer Distributors don’t need a bill to pass to win – they just need to play defense. Filing Carona’s SB 639 was an extra layer of defense, and perhaps a sign that this time they’re worried. But it’s still easier to kill bills than to pass them, and just because there’s been progress doesn’t mean there will be success. Keep letting your Rep and your Senator know that you support a genuinely free market for beer in Texas. Open the Taps presented written testimony for the Eltife bills and has a recap of the hearing, and the Rivard Report has more. We have some legislative beer controversy on our hands. Texas brewers would lose a potential source of capital and some flexibility in negotiating sales under a bill before the state Senate. 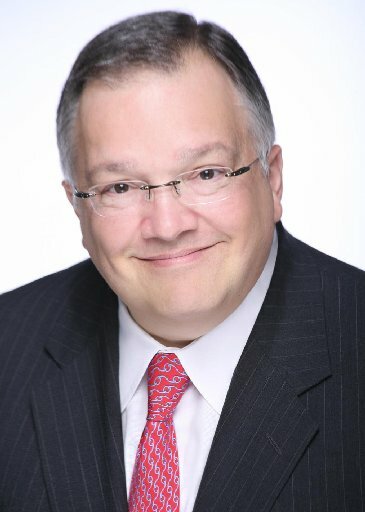 The bill, authored by state Sen. John Carona, R-Dallas, chairman of the Senate Business and Commerce Committee, would prohibit brewery owners from selling distribution rights for their beer and it would restrict them from selling beer at different prices in different geographic areas. Scott Metzger, owner of Freetail Brewing Co. in San Antonio, has been actively involved in talks regarding a separate package of bills designed to help the state’s growing number of independently owned craft breweries and brewpubs. He said the major provisions of the Carona bill were not raised during pre-session negotiations among lawmakers and industry stakeholders and he said the Craft Brewers Guild opposes all of them, whether in this bill or if they should be added later to other legislation. Under the state’s three-tier distribution system, brewers cannot sell directly to retailers or consumers but must, with a limited exception for smaller breweries, enter exclusive contracts with wholesalers to sell the beer to retailers in designated territories. Distributors can pay breweries for those rights, although payments are not required and can take different forms. Donley said the practice is becoming more common as the craft segment grows. These generally smaller brewers reach a point where they need an infusion to expand, he said, and selling distribution rights is a potentially large source of capital. Denying breweries this option goes against the charge of the pre-session working groups to stimulate economic development in the craft industry, he said. Carona’s bill would not stop distributors from selling the rights to individual brands to other distributors. It has not gone without notice that the proponents of this bill don’t have an interest in restricting themselves from raising prices in different markets, or from selling brands rights, but that they are only concerned about what they have to pay. In essence, this bill is one step short of the Texas Alcoholic Beverage Code having Mandated Profits for the middle tier. This is self-serving protectionism at its most blatant. This Legislation amounts to nothing more than a blatant money-grab by the Wholesale Beer Distributors. It distorts the free market by protecting wholesalers from paying the cost of doing business. Ironically, no one has ever forced any distributor to pay for the distribution rights of a brewer. These are voluntary private-party transactions that occur because craft beer distribution rights are actually valuable and distributors are eager to out-bid their rivals for those rights. If you don’t want to pay, then don’t. Luckily, this proposal is likely to go nowhere at the Capitol. My contacts up there have told me the Legislature is highly unlikely to move on Legislation that most of the industry hates, benefits only certain players, and goes against free-market principles. Lastly, I’m thankful to Chairman Carona for filing this legislation. The WBDT was trying to amend Senator Eltife’s craft beer bills with this anti-competetive, self-serving language, and were promptly told no. But I suppose everyone deserves a chance, and I’m looking forward to hearing the WBDT try to explain any shred of public interest that might exist for this money grab. See also this post for related matters, and this post for a fuller response to Sen. Carona’s statement. Metzger makes it clear in that latter post that he is speaking on behalf of the Texas Craft Brewers Guild. If they are OK with Sen. Carona filing this bill then I don’t see any reason for me to be unhappy about it at this time. From Brewed and Never Battered. Senator Kevin Eltife (R-District 1) introduced bi-partisan legislation along with Co-Authors, Senators Brian Birdwell (R-District 22), John Carona (R-District 16), Eddie Lucio (D-District 27), Leticia Van de Putte (D-District 26), Kirk Watson (D-District 14), and John Whitmire (D-District 15) to modernize the state’s alcohol regulatory system to make more competitive Texas’s small, craft brewers. Senate Bills 515, 516, 517 and 518 expand the rights of the state’s craft breweries and brewpubs to provide parity versus what brewers in other states are allowed to do. Eliminates discrimination against out-of-state suppliers. Notably, the bill regarding on-site sales for production breweries does not include any provision for selling beer for off-premises consumption or giving packaged beer away following tours. That had been a major push during the past two legislative sessions. In 2011, a bill made it through the House and Senate committee but was never called for a floor vote because of opposition. That opposition hasn’t gone away and the small brewers abandoned efforts to include such a provision in this year’s proposals. Open The Taps continues to work closely with the [Texas Craft Brewers] Guild to help shape and guide the legislation and we are pleased with the general direction of the debate, but we believe these bills can and should go further by allowing microbreweries to sell set quantities of beer directly to patrons for off-premise personal consumption. We will be working with members of the Senate Business and Commerce Committee and the House Committee on Licensing and Administrative Procedures to share our position and elicit their support. I’d rather have stronger bills, too, but better to get these bills passed and come back in two years for more than fail again and have to start all over again in two years. Passing these bills will be progress, and we need that. The key is that the usual suspects do not appear to be standing in the way this time, as the Chron story notes. Several of the parties involved in developing the proposals say there is at least some agreement within the industry and in the state Senate. “Conceptually, we’ve agreed,” said Rick Donley, president of the Beer Alliance of Texas, which represents Silver Eagle Distributing and other major wholesalers. Getting past that opposition is huge, but nothing is certain until the governor puts his signature on it. As always, now is an excellent time to contact your Senator and your Representative to let them know you support these bills, and you would like them to support these bills as well. Owners of the popular Eatsie Boys food truck will open their first stand-alone restaurant later this year on Montrose Boulevard, serving everything from breakfast items to sandwiches to house-made gelato. But don’t expect to see any of those brews on tap at their restaurant. Texas law forbids it. In Texas, brewers must decide whether they want to be a shipping brewery, á la Saint Arnold or Anheuser-Busch, which are prohibited from selling their own products directly to consumers, or a retail brewpub, which cannot distribute to bars, stores and other restaurants. The catch for 8th Wonder as a shipping brewery is that holders of a Texas brewer’s license are barred from selling alcohol on-site or at any other establishment they own. Licensees are forbidden even from giving away samples at any retail site they own, a Texas Alcoholic Beverage Commission spokeswoman said. So for now, at least, Soroka and his business partners will make beer in an old warehouse east of downtown and run a separate (and dry) cafe in the former Kraftsmen site at 4100 Montrose. Despite what the shill for the Wholesale Beer Distributors of Texas says later in the story, this arrangement, which is solely to the benefit of the distributors and the big brewers, is hurtful to small outfits like 8th Wonder and to beer drinkers everywhere. It’s the same old story and will continue to be until there are enough members of the Lege who are willing to do something about it. Towards that end, I will point you again to Open the Taps and their Beer Voting Guide. Beer lovers have made progress in each of the past three legislative sessions, and as long as we keep up the pressure, we will eventually get the Lege to do the right thing. Open The Taps was created for the sole purpose of bettering the craft beer environment in the state of Texas for craft beer drinkers. We believe that if the consumers speak with one voice, our legislators will hear it loud and clear. 1) Allow Texas Craft breweries to sell their beer directly to the public via tasting rooms, similar to how the Texas Wine industry currently operates. 2) Allow Texas brewpubs the opportunity to have their beer distributed to retail stores and bars. I first heard about them last year, and I’m glad to see them staying active. They put together a questionnaire for candidates and contacted every one they could find, and you can see the results so far on that voters’ guide page. They’re also looking for some help getting responses from the candidates who have not yet sent in a reply, so click over and see how you can help. I’ve been personally invested in this idea since it first cropped up during the 2007 legislative session, and I’ll say again what’s been said before: Beer is a bipartisan issue. Our current beer laws are an anachronistic mess that heavily favor a couple of well-heeled and deeply entrenched interests at the expense of the consumer, which is a situation that should offend sensibilities across the political spectrum. The folks fighting against this have made progress over the ensuing three sessions, but getting across the finish line remains a challenge. Please help shine a little light on this, and make sure your State Rep and State Senator know that you want them to do right by the beer-drinking public. Thanks very much. Having previously announced expansion into the Houston market, Freetail Brewing Co. will announce the indefinite suspension of plans for a second location — citing concerns over access to capital. “As I moved forward with the Freetail Houston project, I began to run into an increasing level of resistance in capital markets. A brewpub is a good project for downtown Houston, but the deal is simply not there for me at this time,” explained Freetail Founder & CEO, Scott Metzger. “When we announced the project on May 17, we also stated there were financial considerations to be addressed. Those considerations are ultimately what put this project on hold indefinitely, and no other reason. To move forward with the project at this time would be irresponsible and an injustice to my company and the City of Houston. “For now my focus will be to continue growing our successful original location, which has internal expansion needs of its own, and moving forward in the battle for fair reform of the Texas Alcoholic Beverage Code, as it relates to the activities of our state’s brewpubs and breweries,” added Metzger. Beer, TX adds some details. Houston officials had worked closely with Metzger and the owner of the downtown property and felt Freetail was “a fantastic fit for us,” said Angie Bertinot, spokeswoman for the Houston Downtown Management District. The brewer said he still believes Houston is a viable location, but he realized he did not have enough contacts among potential investors. He also said continuing economic uncertainties may have investors leery. “If things change, then we want to revisit Houston,” he said. “Economic uncertainties”? I blame Eric Cantor. Freetail had announced their intent to open a Houston location in May. I hope they are able to get the funding they need to try again soon. “The fourth tier wants to speak up,” said Ted Duchesne, a Clear Lake-area beer blogger and president of a nascent nonprofit organization that pledges to work on behalf of consumers to increase the availability of craft beer in Texas. The group, Open The Taps, hopes to do so by encouraging legislation – such as the stifled efforts to expand the ways small breweries and brewpubs get their goods to market – and regulatory changes often cited as a deterrent by out-of-state craft breweries that want to do business here. Duchesne and the other founders believe they can tap into a large, passionate base that prefers craft beers to mass-produced ones. They are set to launch a fund-raising drive in major Texas cities and next month will be recruiting members at a public home brewing event in Seabrook. The founders of Open The Taps say the recent explosive growth of craft beer in the state and the number of new breweries prove there is grass-roots support here that they can leverage into legislative action through lobbying. One of their first initiatives is to recruit 100 people willing to contribute $100 apiece in each of the state’s four biggest metro areas: Houston, Austin, San Antonio and Dallas/Fort Worth. Here’s their nascent website and Facebook page. They have a launch party scheduled for this Saturday the 23rd at 4 PM at the Moon Tower Inn on Canal Street. I’m glad to see this group form, and I wish them all the best, I’ll just note that we’ve now had three legislative sessions in which microbreweries have tried to get a bill passed. It would have been nice if something like this had existed even a year ago. Be that as it may, it’s going to take grassroots action to get this done, so if you care about beer in Texas and can’t understand why we don’t have a free market for it, join up with these folks and start working towards 2013. Beer, TX has more. Texans won’t be buying liquor on Sunday and the state’s 29 brewpubs won’t be competing with their out-of-state rivals on local grocery shelves. And Texas breweries or liquor distillers still can’t sell a 12-pack of beer or a souvenir bottle of bourbon to tourists, as the Legislature has killed all bills related to changes in state laws on beer and liquor retailing. “We got railroaded,” said Dan Garrison with Garrison Brothers Distillery, a Hill Country distiller who wanted the ability to sell a souvenir bottle of his bourbon to tour groups. Garrison’s comment could sum up the frustration of the smallest players in the state’s beer and liquor industry that is controlled by giants. Rep. Mike Hamilton, R-Mauriceville, chairs the House Committee on Licensing and Administrative Procedures, where most of the alcohol-related bills died this session. He said it’s difficult to change decades-old laws without affecting someone’s financial interest. Translation: It’s difficult to give small brewers and distillers an even break because doing so might put a tiny dent in the massive, oligarchic profits of the big distributors. Most attempts to change beer or liquor laws eventually bump up against the state’s post-Prohibition rules that maintain distinct boundaries between manufacturers, distributors and retailers, in what is commonly called the three-tiered system. House Bill 660 would have allowed brewpub owners to sell their beer through distributors at retail outlets. The brewpubs said they would expand and create jobs. The Beer Alliance of Texas and the Licensed Beverage Distributors supported the bill, while the rival Wholesale Beer Distributors of Texas opposed it. That was enough to kill it in Hamilton’s committee. Likewise, Rep. Jessica Farrar’s House Bill 602, which would have allowed microbreweries to sell 12-packs of beer to tour groups, fell victim to competition between two distributor groups. And once again, the deciding factor in this debate is what’s good for the distributors, and not for the customers. The customers always lose. On the one hand, legislation to allow microbreweries to sell their product onsite made it farther than it had before, and given the way the Lege works you have to hope that this represents progress. On the other hand, to come this far and see it fall just short is that much more wrenching because you could see the finish line. I’m sure I’ll feel hopeful again in time for the next session, but for now I’m just pissed off. Lee Nichols has more. Saint Arnold Brewing Co. founder Brock Wagner, one of the driving forces behind this and two previous legislative efforts, said he was “annoyed” at the continued failure to pass a bill that had no other organized opposition. “We just got outgunned,” he said. After months of professional evaluation and fan speculation, Freetail Brewing Co. is happy to announce it has chosen downtown Houston as the site of its second location. On November 2, 2010, Freetail Founder & CEO Scott Metzger announced the company’s search for a second location. After extensive research and analysis, bolstered by a robust social media campaign by thirty Houstonians, Metzger ultimately decided on approximately 20,000 square feet in a historic building in downtown Houston. Out of respect to the developer, the exact location cannot be named at this time. The new location, described as a “flagship” design, spans three floors and includes a company store for customers to buy packaged product, growlers and merchandise in addition to ample restaurant and bar space. Unlike Freetail’s original location, which is primarily one big room with a patio overlooking the Texas hill country, Freetail Houston will feature traditional restaurant seating, private dining space, and a “game room” with pool tables, shuffleboard, darts and numerous televisions. St. Arnold’s Brock Wagner shared Metzger’s sentiments that Houston is ready for a brewpub. “Houston has a thriving beer scene but oddly no brewpubs. I have told many people that if I could, I would love to open a brewpub here. People will quickly embrace a brewpub downtown and one already known to brew great beers. The success of such a place will dispel the view that there is a brewpub curse in Houston,” said Wagner. The $4.2 million facility is projected to open in Spring 2012 and create 100 new jobs. I’m delighted to hear this news and look forward to patronizing the new place. Now no matter what happens with HB602 it’s been a good year for beer in Houston, and who knows, maybe it’ll give a little momentum for the next legislative session when the brewpubs can try again. Beer, TX has more. Craft beer brewers came to the Capitol this session with a number of bills giving them greater latitude in getting their beers to customers. [Thursday], the House gave an early OK to one of those bills, allowing breweries to charge admission for tours, and include up to two six-packs of beers to give to tourists at the end. “Tours of our brewery are the single most important marketing item,” Brock Wagner, founder of Saint Arnold brewery in Houston, told the House committee that took up the bill last month. Other states have that ability, he said, and those breweries and their beers are out-competing Texas beers. [Rep. Farrar’s] bill now awaits committee assignment in the Senate, where it is being sponsored by State Sen. Wendy Davis, D-Fort Worth. Brock Wagner, the Saint Arnold Brewing Co. founder who has pushed for the change as a way to help small brewers market their products more effectively, said his focus now turns to the upper chamber. While pleased with Thursday’s vote, he was not ready to pop the top on a celebratory ale. Sen. Davis’ bill is SB1863; it remains in the Business and Commerce Committee as of today. I should note that Saint Arnold’s already charges for a tour, and in return you get the lovely glass pictured on that page. That’s nice, but perhaps not so useful after a certain number of return trips. If this gets signed by the Governor, I presume Saint Arnold will institute a tiered pricing structure for its tours, thus allowing those who wish to take home a six pack or two to do so. After three sessions of trying to make something like this happen, this is substantial progress. I wish I could report equally good news for the brewpub bill HB660, but it remains in committee and I daresay it is unlikely to see the light of day this session. Tellingly, the only update on the Brewed And Never Battered blog talks about a couple of other bills that had recent committee hearings, HB2436 by Rep. Eddie Rodriguez, and companion bill SB1575 by Sen. Kirk Watson, which would allow for some direct sales by microbrewers, but neither has received a committee vote yet. Frankly, no matter what happens with any of these bills, I think Scott Metzger did a great job getting the word out and building support for letting brewpubs expand their markets. If HB602 can pass, something like HB660 will eventually pass, too. It may take a few more sessions, but it will happen, and we’ll all be the better off for it. Congrats to Brock Wagner, the folks at St. Arnold, and all the other Texas brewers, distributors and retailers supporting HB 602 which today passed the House Licensing and Administrative Procedures Committee by a vote of 6-0. Next up is the Local & Consent Calendar Committee, which will place the bill on the Calendar for a vote before the entire house. As far as HB 660 goes, we are still trying to arrange for it to be brought up for a vote before the committee. No further news at this time. HB602 is Rep. Jessica Farrar’s bill, the compromise bill that even the beer distributors support. Farrar’s 2009 bill did make it out of committee, but not until May, and it died even before the Great Chubfest of 2009. Maybe this year it finally makes it, and if so it will be a big step forward. As always, now would be an excellent time to call your State Rep and State Senator and let him or her know that you favor a Yes vote on HB602. And HB660 too, if it ever makes it out of committee. If you’ve been following the brewpubs’ efforts to get a bill passed that would allow them to sell their wares elsewhere in Texas then this Statesman story doesn’t bring much new to you. What it does do is cleanly capture the absurdity of the arguments against giving brewpubs and microbreweries greater access to the market in Texas. The [Wholesale Beer Distributors of Texas] is very protective of the state’s post-Prohibition alcoholic beverage laws, which divide the industry among breweries, distributors and retailers and bar anyone from owning businesses in more than one category. That means anyone wanting to sell outside of his own premises to consumers has to go through the distributors. There are minor exceptions, including the legalization of brewpubs in Texas in 1993. Texas regulators consider brewpubs to be retailers, even though they also brew beer. It’s a tiny industry. In 2009, Texas brewpubs produced 12,755 barrels of beer and grossed $31.9 million in sales, according to a report commissioned by Texas Beer Freedom. But Mike McKinney, a lobbyist with the Wholesale Beer Distributors, says too many exceptions might invite industry giants to lobby the Legislature to change the system. “We don’t want Anheuser-Busch to own a chain of grocery stores or nightclubs,” McKinney said. Both sides cite the Texas wine market, which allows wineries to sell both to consumers at the vineyards and to wholesalers for distribution in stores, in their arguments about HB 660. Scott Metzger, an economist who also owns Freetail Brewing Co. in San Antonio, says the number of Texas wineries jumped from 46 to 181 after the Legislature loosened the regulatory restraints. The key to passing HB 660 is the House Committee for Licensing and Administrative Procedures, where the bill was pending while both sides lobby behind the scenes. The chairman, state Rep. Mike “Tuffy” Hamilton, R-Mauriceville , echoes McKinney’s concerns that the bill could “open the door” to unintended consequences. You mean like something resembling a free market? Oh noes! Whatever will we do? Very simply, the distributors have a nice little setup for themselves that guarantees them eternal profits, and they don’t want that to change in any way. It’s all about them trying to maintain a status quo that serves their interests a lot better than anyone else’s. Brewed and Never Battered has more. Brewed And Never Battered gives its report from the House Licensing and Administrative Procedures Committee hearing yesterday. Briefly on HB 602: No one expressed opposition, not even the Wholesale Beer Distributors of Texas, who have opposed the bill in the past. There is some forthcoming compromise on that bill that apparently everyone is happy with and it looks like you’ll be able to take beer home after a brewery tour later this year. HB 660 had a tremendous number of supporters, and the roll of names read into the record as supporters of the bill was long and impressive. Among those in support but not wishing to testify were a number of beer distributors and the Texas Restaurant Association. As you may have read, we’ve gained the support of the other tiers through thoughtful discussion with interested stakeholders. Beer distributors were concerned about self-distribution for a business type that already sells directly to the consumer, and we understand their points. Self-distribution has been removed from the bill. We also lowered the annual limit for aggregate production to 15,000 barrels per brewpub. A number we are very comfortable with. I’m pleased that we were able to come up with a bill that all three tiers really like. We did have one person oppose our bill, however. Keith Strama, representing the Wholesale Beer Distributors of Texas, stood up and presented a semi-coherent rambling about how we should allow these kind of changes to the code because… well, just because. Seriously. Strama did present some other barely comprehensible argument, which was called onto the rug in short order by Committee Vice-chair Chente Quintanilla of El Paso. Video of the entire hearing, which you can find here, proves quite entertaining. Strama should have just stuck to “Uh… just because” – turns out that was a better argument than the one he was trying to make. With the WBDT exposed, the ball is back in our court. We have one or two weeks at the most to earn the votes of the committee, after that it will be too late to advance this session. Right now I think we have 4 votes. We need 5. Time to turn up the pressure and continue to urge members of the committee that this the right thing to do. Continue those calls and emails (I’ll post a sample follow up letter tomorrow). It would be especially helpful for you to express your support for HBs 660 and 602 if one of these folks is your Representative. There clearly is a lot of support for this bill, but until the committee votes it out, that doesn’t mean anything. Lee Nichols has more. As Brewed and Never Battered noted, HB660 and HB602 were scheduled for a public hearing in committee today. I’m delighted to say that it looks like there was progress achieved on them. Rep. Mike Villarreal, D-San Antonio, laid out HB660 before the House Licensing and Administrative Procedures Committee today. The measure, in its original form, would’ve allowed brewpubs — restaurants that brew their own beer — to distribute directly to other bars, restaurants and stores. But after a compromise with the Beer Alliance of Texas, the bill would only allow brewpups to sell their bottled wares via a beer distributor. Villarreal told the committee that brewpubs are already manufacturing beer, and that Texas’ regulatory system is stunting their growth. Brewpubs in other states are allowed to sell to distributors, meaning Texas is losing out on what could be a growing business, Villarreal said. “If it is putting our playing field at a built-in disadvantage to our brewpubs, versus out-of-state brewpubs, then it needs to change,” said Villarreal. But opponents of the bill, including the Wholesale Beer Distributors of Texas, say allowing brewpubs to sell to distributors would break down the three-tiered system that regulates the production, distribution and retail sales of beer separately — and which has been around since Prohibition. The system is meant to make it easier to regulate and tax beer sales and keep any one company from gaining a monopoly. They suggest a round-about alternative: HB602, which would allow breweries to charge admission for tours and include up to two six-packs of beers to give to tourists at the end of the tour. Keith Strama, who represents the Beer Distributors, told the committee if HB602 passes, brewpubs could change their licenses to become manufactures of beer, so that they could sell to distributors, sell during tours, and open a restaurant on the premises. Rick Donley, president of the Beer Alliance of Texas, told the committee that he is a staunch supporter of the three-tier system, but that after working with Villarreal and the brewpub owners, a compromise was reached. Originally, the bill would have allowed brewpubs to sell a limited amount of their product directly to stores and other restaurants and bars, bypassing the distributors. The amended bill makes the distributors the middle man. Scott Metzger, a brewpub owner and executive director of Texas Beer Freedom, said he’s pleased with the compromise. Being able to sell his beer to a distributor will help him grow his business, Metzger told the committee, but would also help grow the state’s economy and its tax revenue. Metzger, who is also an economics professor at the University of Texas at San Antonio, told the committee the bill has the potential to create $680 million a year in economic activity, 6800 new jobs at brewpubs and $57 million in new tax revenue per year. Personally, I’d prefer to see the three-tier system thrown onto the ash heap of history, but if Scott Metzger is happy with this compromise, then so am I. If what they say about HB602 is true and it gets passed, it’ll be a huge step forward. I’m genuinely optimistic about their chances now. Kudos to Metzger, Rep. Villarreal, Rep. Jessica Farrar (the author of HB602), and everyone else involved in brokering this deal. Now let’s get this bill passed so we can all enjoy the benefits of it. Elsewhere in alcohol-related news, two other bills moved along, though neither are bills I’d been following. The first will require liquor stores to begin reporting the final sales destination of booze they sell — and could boost state revenues as much as $25.8 million — was approved this morning by the Texas Senate. State Sen. Kevin Eltife, R-Tyler, the author, said that under current law, the stores do not have to report the final destination of liquor sales like they do for beer, wine and malt liquor. “This changes the reports filed with the Comptroller, and is expected to increase tax revenue to the state,” Eltife said, noting that the improved tracking of sales is expected to improve auditing and tax collection. The second bill, by Sen. Craig Estes, R-Wichita Falls, will increase the limit for Texas winery off-premise tasting room sales from 35,000 gallons to 50,000 gallons. More wine sold will mean more revenues for the state, officials said. Estes said that the increase is expected to allow the wine industry to continue growing at its current rate. Between 2007 and 2009, the economic impact of the Texas wine industry grew from $1.35 billion to $1.7 billion annually. The bills in question are SB576 and SB411. With the news about HB602, I’d say it’s been a good day for Texas beer and wine lovers. The last bill of alcohol-related interest is SB595, which is a bill to allow Sunday liquor sales, and on which there has been no further action. There’s still time in the session for it, but as Yogi Berra once said, it gets late early out there. I’m not nearly as optimistic about this bill’s chances. State Rep. Jessica Farrar, D-Houston, has introduced House Bill 602, which would allow breweries to distribute up to 48 12-ounce beers at the conclusion of tours of the respective facilities. Brewers would cover the cost of the beer by charging varying tour admission fees. The net effect would be that tourists could take some of the product home with them, just as visitors to Texas wineries can do under existing law. HB 602 is very similar to a bill Farrar carried during the 2009 session that made it out of committee but was buried in Calendars. Traditionally, the Texas beer wholesalers have opposed anything seen as challenging the three-tier system that gives distributors exclusive rights to sell beer to retail outlets. This is the third time a version of the bill has been introduced. But since the defeat of the 2009 measure, Texas has seen a significant spike in the number of small breweries that have either opened, have licenses to open or are in more preliminary stages. Also sent to the Licensing & Administrative Procedures Committee is House Bill 660, sponsored by state Rep. Mike Villarreal, D-San Antonio. It would allow brewpubs – that is, restaurants that make and sell beer on premises only – to increase the amount of beer they produce and to sell some of that beer off-site through distributors. It’s a journey of a thousand miles, and there’s a million ways to go off the trail and into the weeds, but you have to start somewhere. As always, if you support these bills, now would be a good time to let your Rep and your Senator know that. The AusChron has more. I’ve written before about the efforts by brewpubs to pass a bill that would allow them to distribute their product outside their own doors. That effort is being led by Scott Metzger of San Antonio’s Freetail Brewing Company, who has been promoting it via blog, Facebook, a new nonprofit called Texas Beer Freedom and pretty much anything else he can think of. The Trib wrote a story about this and about those who are opposed to it. Under state law, brewpubs can make and sell their beers only on site; they are not allowed to distribute their products themselves or through a separate wholesaler. Only breweries that do not sell their own products on site may distribute their beer through wholesalers. House Bill 660, filed by Representative Mike Villarreal, Democrat of San Antonio, would give them the green light to increase production, sell to beer distributors and sell directly to stores and restaurants if they produce 10,000 barrels of beer a year — the equivalent of 20,000 kegs — or less. But major beer distributors do not want to open those spigots. Their lobbyists argue that allowing brewpubs to sell their own wares would destroy the regulatory system in Texas that has operated, effectively and profitably, since the end of Prohibition. Rick Donley, president of the Beer Alliance of Texas, which lobbies for companies that distribute major-brand beer and some craft brews, said the three-tiered system — which regulates the production, distribution and retail sales of beer separately — made the beer business easier to regulate and tax, and keeps any one business from creating a monopoly. It has worked well for the major beer producers. The top five brands in Texas, according to the state Alcoholic Beverage Commission, are Bud Light, Miller Lite, Budweiser, Coors Light and Natural Light. “At the end of the day, it’s just about they don’t want increased competition and how that affects their personal wealth,” Metzger said. I have no idea why Rick Donley thinks HB660 would lead to anarchy in the distribution process. The current regulatory scheme has indeed been a boon for the beer distributors and their large clients, but speaking as a consumer who might like to buy a six-pack of Freetail’s finest at my neighborhood supermarket some day, it has most certainly not been good for everyone. We don’t have a free market for beer in Texas, and the distributors are perfectly happy with that. Why our supposedly free-market-loving Legislature is also happy with this, I couldn’t tell you. There’s a new player on the beer legislation scene this session. The owner of one of San Antonio’s largest brewpubs, Freetail Brewing Co., is spearheading an effort to change state law to allow it and other brewpubs to distribute their beer anywhere in Texas. If successful, beer aficionados no longer would need to travel to San Antonio to sip on Blue Star beverages, or to Austin for Uncle Billy’s or Dallas for Gordon Biersch. The brewpubs would be able to self-distribute up to 10,000 barrels of their brew per year or sell it to licensed distributors. And under the proposed legislation, brewpubs could increase their total production from the existing limit of 5,000 barrels per year to 75,000 barrels. Freetail owner Scott Metzger helped draft House Bill 660, which would change the state’s beer distribution laws. State Rep. Mike Villarreal, D-San Antonio, filed the bill last week. The San Antonio Current, the Chron’s Beer, TX blog, and the Austin Chronicle have all written about HB 660. Far as I know, this is the first time that brewpubs have gotten involved in this. Our own Jessica Farrar, D-Houston, has indeed introduced a bill that would let brewers distribute a limited amount of beer directly to consumers. HB 602 would allow Texas breweries to charge for tours and then give tour participants up to 48 12-ounce beers at the conclusion. This section does not authorize the holder of a brewer’s permit to sell ale to an ultimate consumer. So instead of allowing people to buy a case of beer after touring the brewery, you can offer differently-priced tours that may or may not include a free case or two of the product to take home with you afterward. If you’re thinking that’s a subtle change from the previous bills, you’re correct. If you’re wondering why such a subtle change would make this bill more likely to pass, all I can say is welcome to the world of sausage-making. Obviously, I support HB 660. I also believe that the activities that would be permitted by HB 602 should be legal. If a brewery wants to give you a couple of cases of beer, I believe they should be allowed to. It should be noted, however, that HB 602 has a very narrow focus that affects only a handful of breweries: A-B in Houston, MillerCoors in Ft. Worth, Spoetzel in Shiner, St. Arnold in Houston, Real Ale in Blanco, Rahr in Ft. Worth, and Independence in Austin (in other words, only the breweries that package beer in 12-ounce bottles). I support this bill and the efforts of the breweries who would be helped by its passage. I would however, point to HB 660 as a more comprehensive piece of reform legislation that has a greater reach. And with the exception of A-B, MillerCoors and Shiner who all exceed HB 660′s size restriction, the Brewpub bill allows the activities that HB 602 seeks to allow, should a brewery decide to change to a brewpub license. A brewpub is legally allowed to sell you packaged product for off-premise consumption, so long as they have packaged product to sell (most don’t). You will never find me campaigning against HB 602, as I think it’s a bill that should pass. However, I believe our state is in need of greater reform that benefits our craft beer industry. I was curious about what the microbrewery perspective was on HB 660, so I placed a call to Saint Arnold’s and had a chat with Brock Wagner. He told me they’re focused on their own efforts and that he wishes Metzger and his supporters the best of luck. As do I, to all of them. There’s a Facebook page for HB 660 to like if you’re into that sort of thing. You know I’ll be keeping an eye on this.